After several months of nothing in Uganda celebrity news but maybe photos of singer Leila Kayondo on Instagram, the singer who is rumored to be signed to a Nigerian based promotions company Striker entertainment was hosted at NBS TV’s Katch up show hosted by Douglas Lwanga, Anita Fabiola and MC Isaac where she showed up to premier her latest song “Musaayi”. The singer just embarrassed herself and received a massive booing from the fans after her failure to have a five-minute interview at a national television. 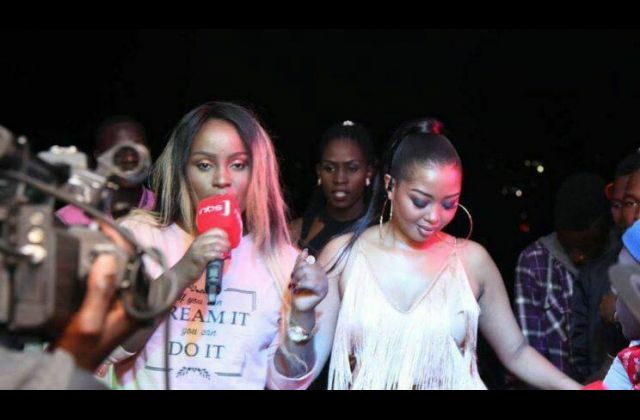 She was later given a chance to perform her new song for the fans but she was completely unable to perform and hardly said out words which forced the former NTV the Beat presenter to save her from the embarrassment by denying her the microphone again. 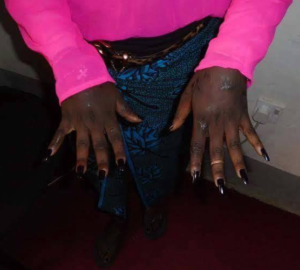 Many people especially those inside her camp attributed that to Kayondo’s excessive use of drugs and alcohol with her friends. They also added that Leila Kayondo mostly uses cocaine which is rumored to be supplied by striker entertainment managers who disguise themselves as music promoters. It should be remembered that several artistes have jeopardized their careers through misuse of drugs like Dave Dash a former NTV Uganda and Radio city presenter who ran mad and undressed in the middle of the city. Others include Jackie Chandiru formerly working with Blue 3, stylist Zziwa among others. Drug use is on a high increase among Ugandan musicians and socialites and many have been remanded to Butabika.